The efficiency of a Trapezoidal Lead Screw and Nut mechanism is its ability to convert rotary motion into linear motion without losing significant amounts of power. This parameter allows an analysis of the amount of rotational energy which is converted into useful linear movement, and allows us to find the amount of lost energy, which has dissipated as heat. The required values for calculating efficiency can be found in ‘Screw Specifications’. Graph No. 8 shows that the greater the angle of the screw thread, the better the efficiency of a Lead Screw system. It is recommended to use screws with high lead angles to achieve greater efficiency, but customers should also factor irreversibility into their decision. It can be seen that efficiency is inversely proportionate to the system’s level of dynamic friction. This is because using materials which operate with lower friction a lower friction results in much less wasted energy. To limit friction, all of our produce precision rolled Lead Screws are produced to a roughness of less than 1 μm Ra, usually achieving values of around 0.2 to 0.7 μm. AccuLeadScrews can also provide wear-resistant, self-lubricating, plastic flanged nuts, which greatly reduce friction factors and do not require lubrication. 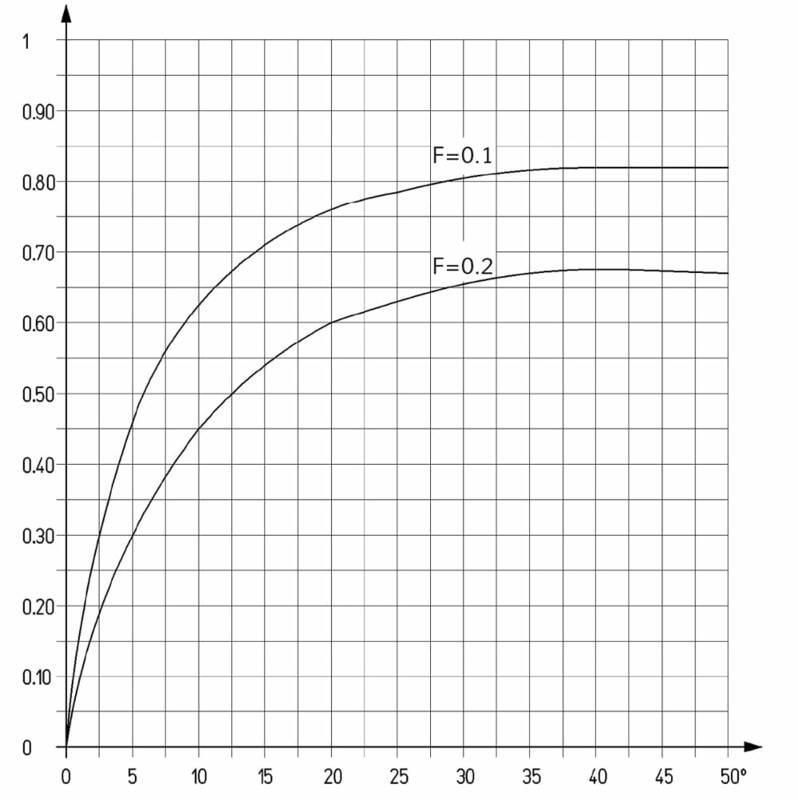 Dynamic friction factor ƒ ≅ 0.1, first breakaway ≅ 0.15.